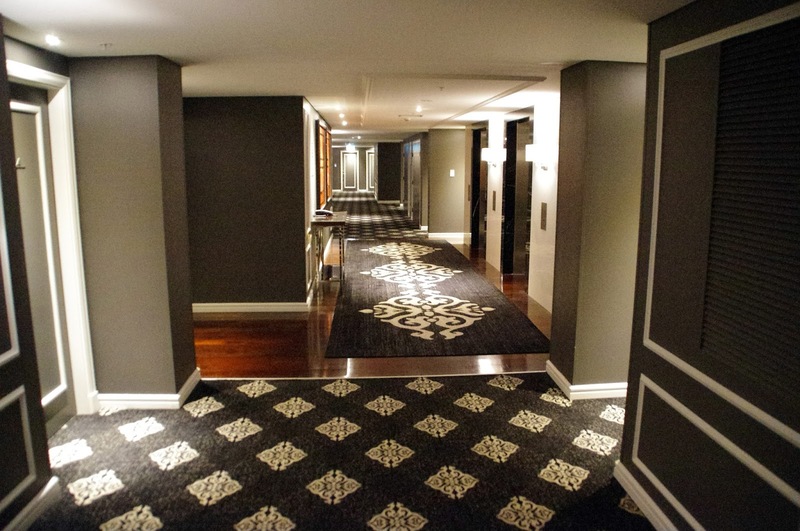 On our recent trip to Sydney we stayed at the Swissotel Sydney. 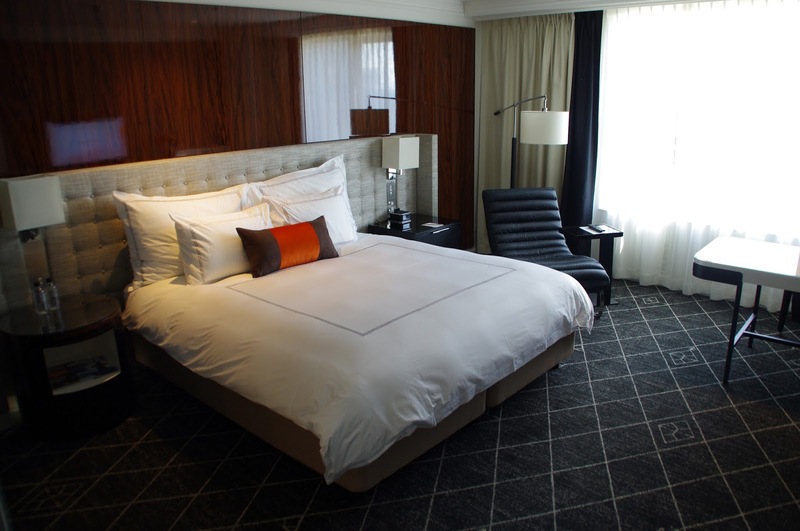 It was our first experience with the Swissotel brand and we were blown away. 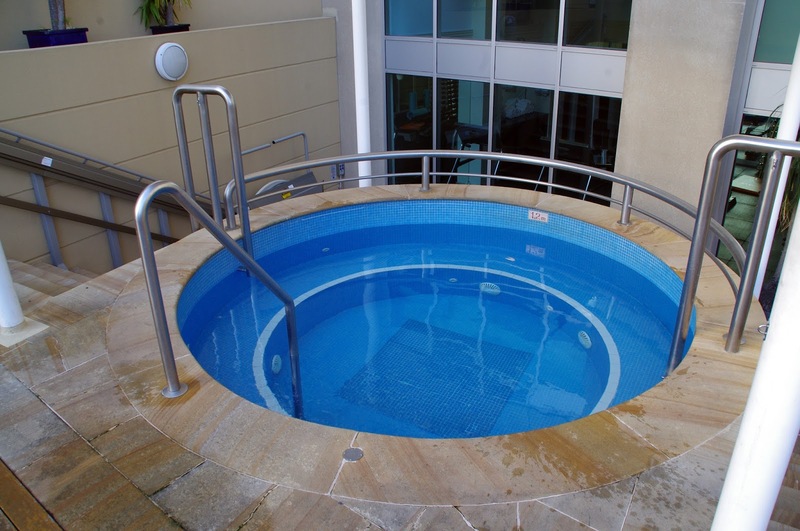 Every aspect of our stay was perfect from the service, to facilities and dining. 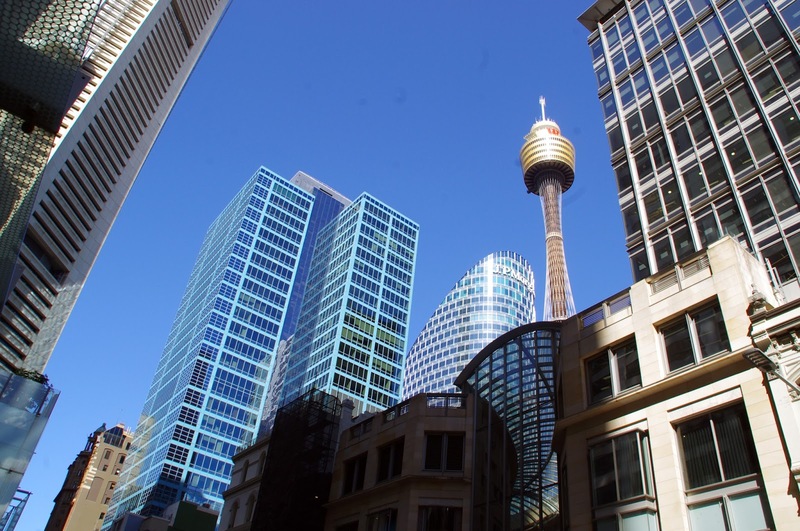 The Swissotel Sydney is worthy of its five stars and we truly experienced five star luxury and that famous Swiss hospitality throughout our stay. 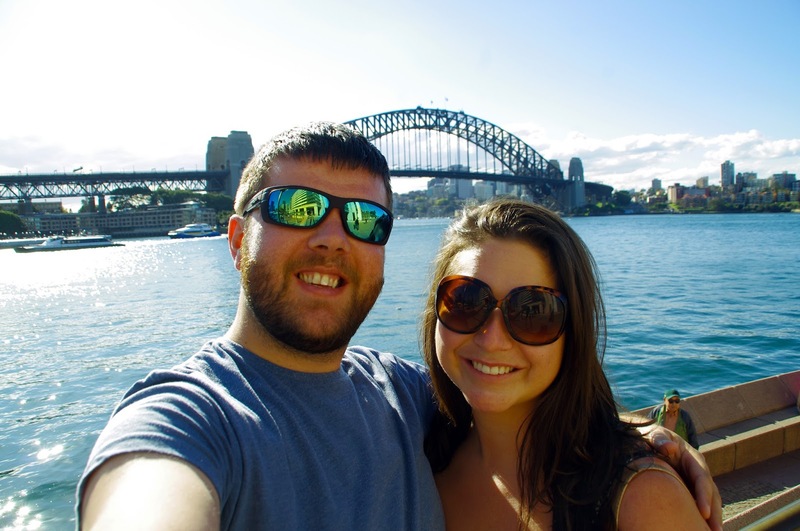 We spent the night before staying over at beautiful Watson’s Bay & that morning took a ferry across to Circular Quay. 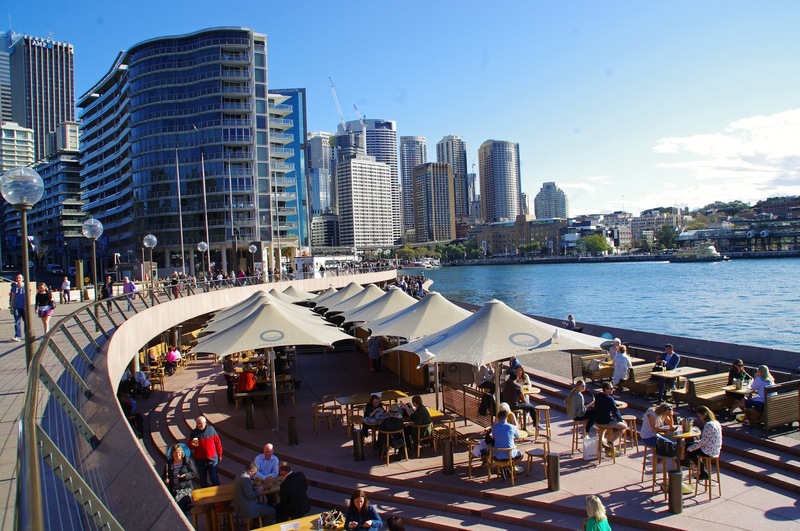 We decided to take the 10-15 minute stroll through the CBD to see the city even though we were armed with very heavy suitcases! We arrived at the Swissotel feeling as if our arms were about to fall off when the doorman quickly whisked away our bags for us. We were then greeted by the friendly concierge and when we explained that we knew we were too early to check in & were simply hoping to drop our bags off, he smiled and said “it is never too early”. 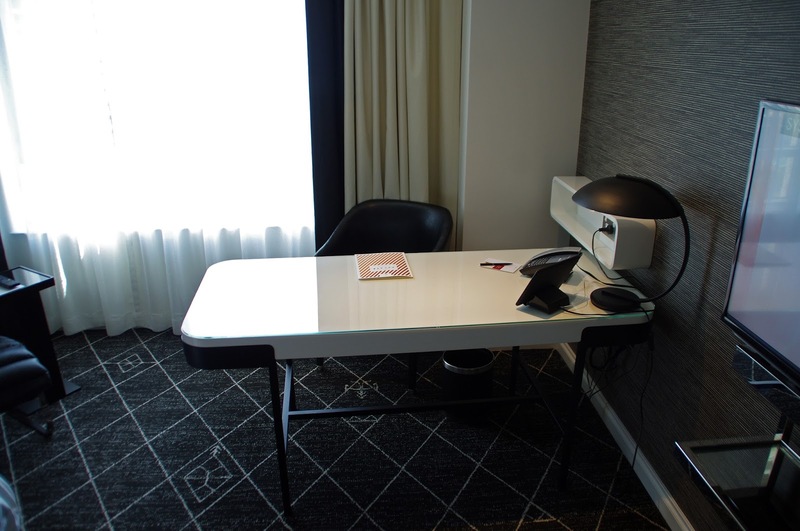 This professional and friendly attitude continued through to all the staff we met throughout our stay and really started off our stay at the Swissotel Sydney perfectly. 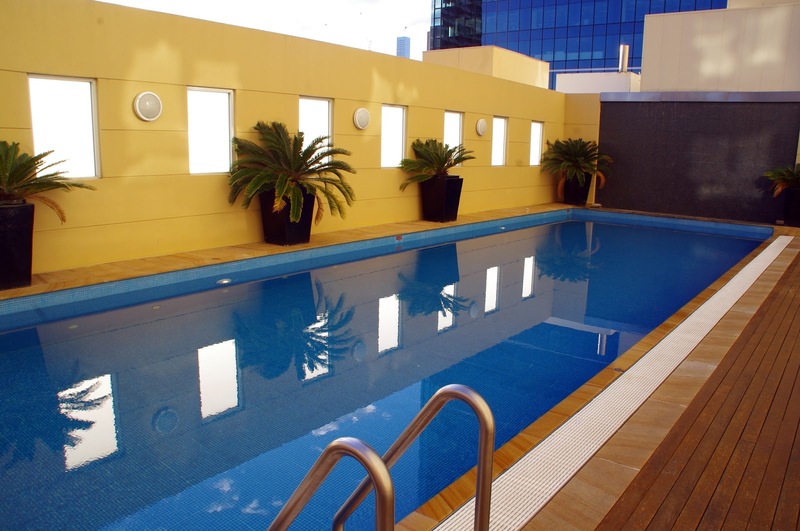 Swissotel Sydney has 369 guest rooms, and all of their rooms and suites are luxurious and beautifully decorated, feature modern furnishings & all the amenities and facilities you could possibly want or need to ensure your perfect stay. 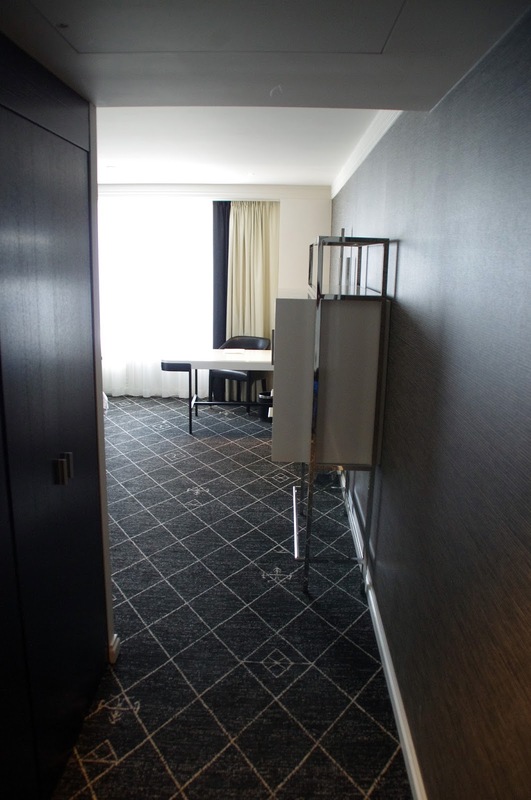 We stayed in a Swiss Executive Room, one of the newly renovated rooms which is located on one of the top floors. We were very impressed with our room from the moment we stepped through the door. It was spotlessly clean, spacious, modern, beautifully designed and decorated. 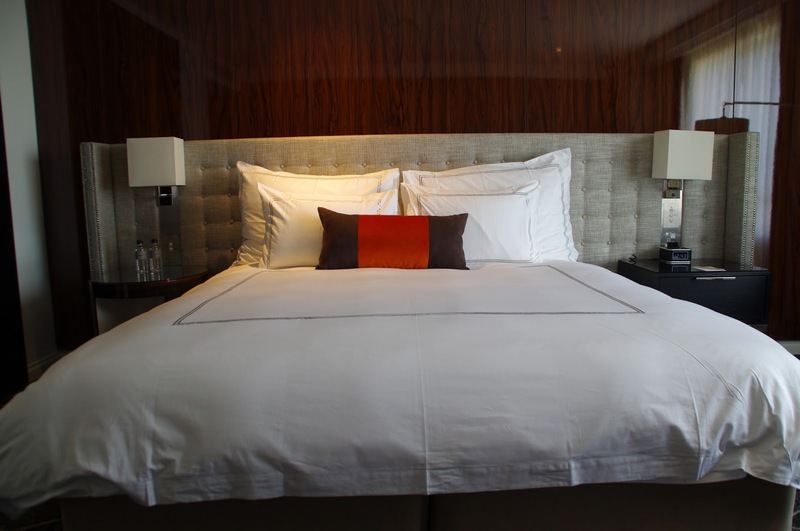 The King Sealy bed with 300 count Frette linen was dreamy and we really had the most perfect sleep (if you follow me on Instagram you’ll know that I never wanted to leave the bed)! A pillow and bedding menu is also available and Housekeeping are more than happy to accommodate your requests. 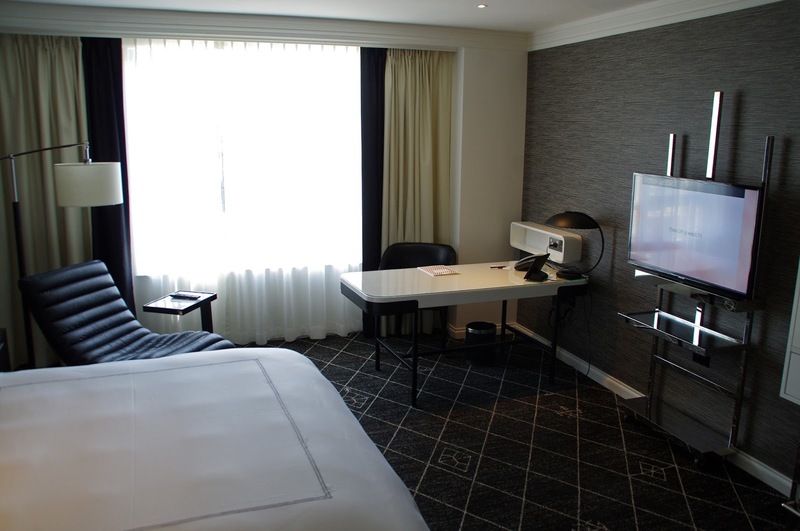 Our room also had an interactive entertainment centre with 40″ LED TV, complimentary WiFi which worked perfectly our whole stay, telephone, iron and ironing board, pool towels, a comfortable lounge chair and a large desk which is the perfect for those travelling on business. 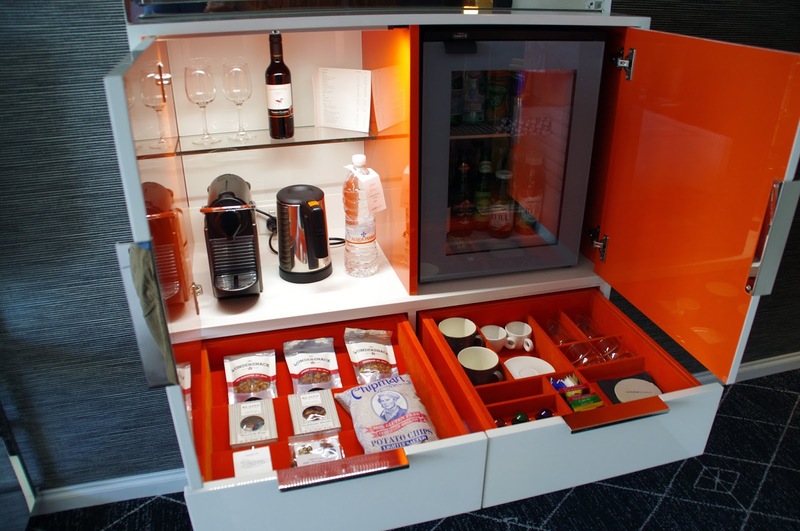 We loved the very well stocked funky orange minibar and Nespresso Coffee Machine. 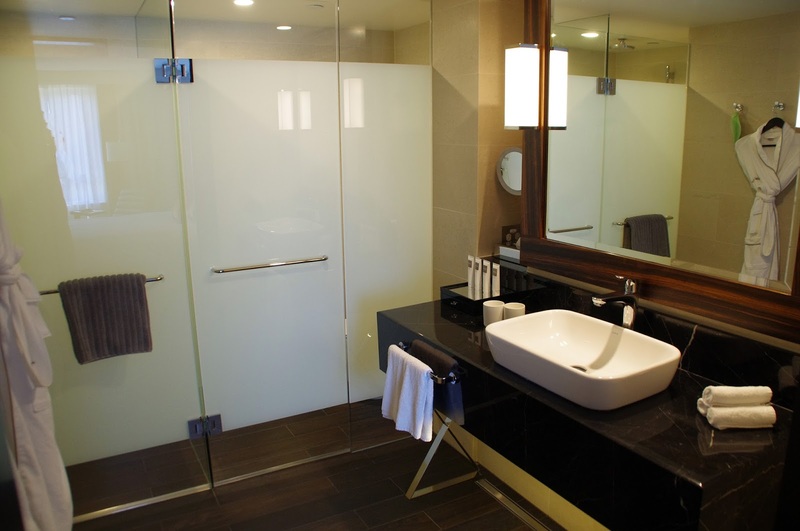 Our bathroom was modern, spacious and I loved the natural colours that were used in the decor and fittings. 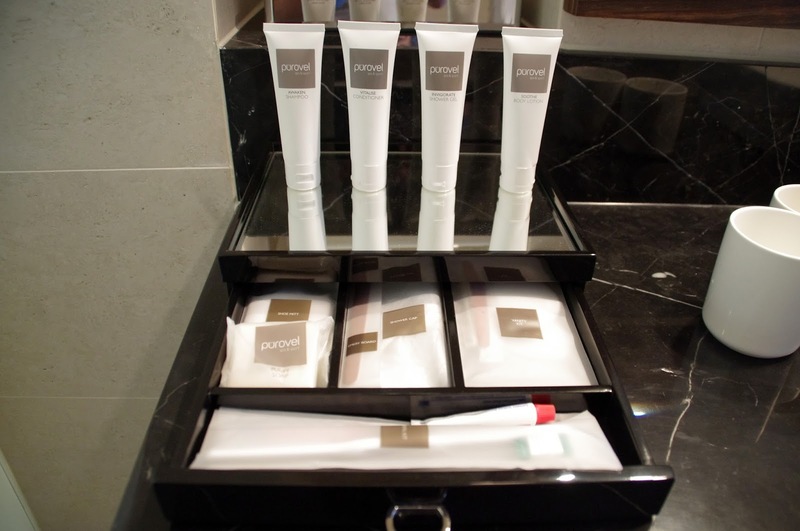 The bathrobes and towels were fluffy and cosy and luxurious Purovel toiletries were provided for our use. 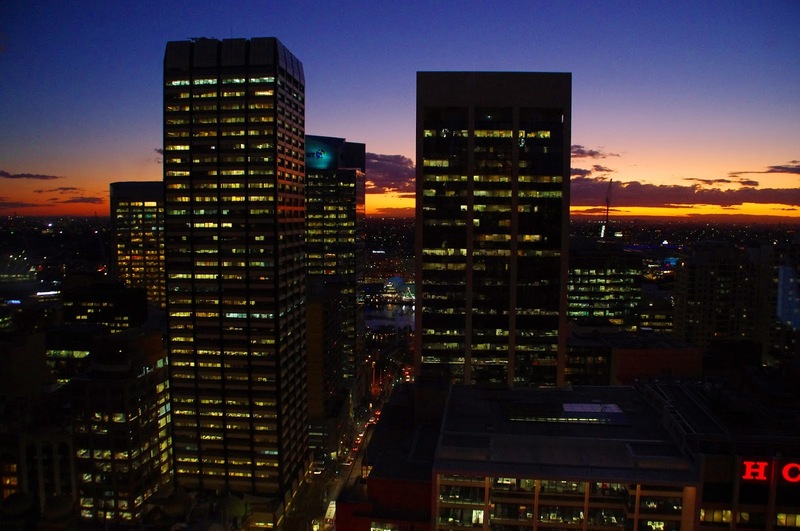 We were blown away the minute we stepped over to the windows to take in our city views of Sydney. 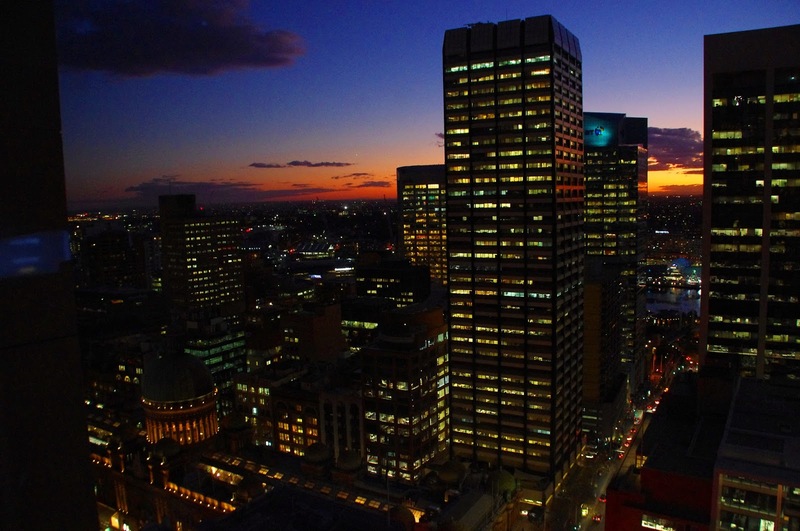 We also enjoyed a stunning sunset from our room later in the day before heading to the Executive Lounge for pre-dinner drinks and canapés. Our Executive Room also meant we enjoyed access to the hotels’ Executive Lounge. The Executive Lounge is a haven of luxury and relaxation and a place to escape the city to get some work done, watch TV or simply relax. The Executive Lounge has Wi-Fi, daily newspapers, a complimentaty gourmet buffet breakfast, complimentary tea, coffee and cold beverages available throughout the day and pre-dinner drinks and evening canapés. 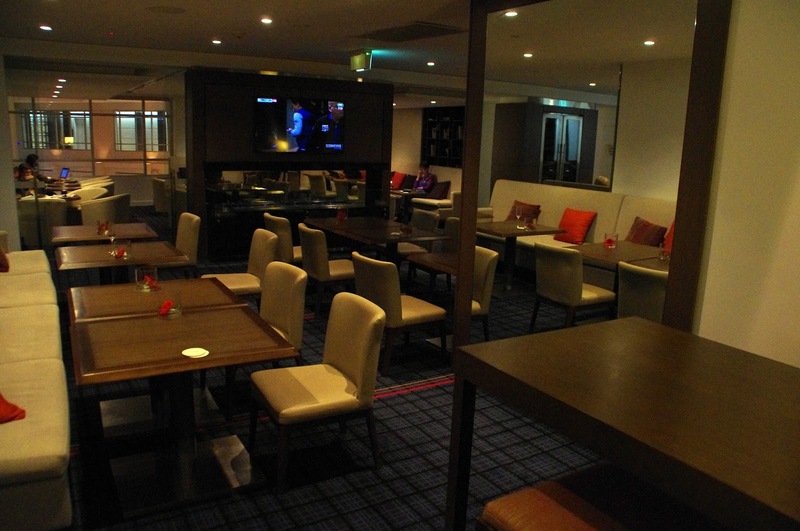 We were very impressed with the Executive Lounge and especially enjoyed relaxing in the lounge having pre-dinner drinks and canapés. 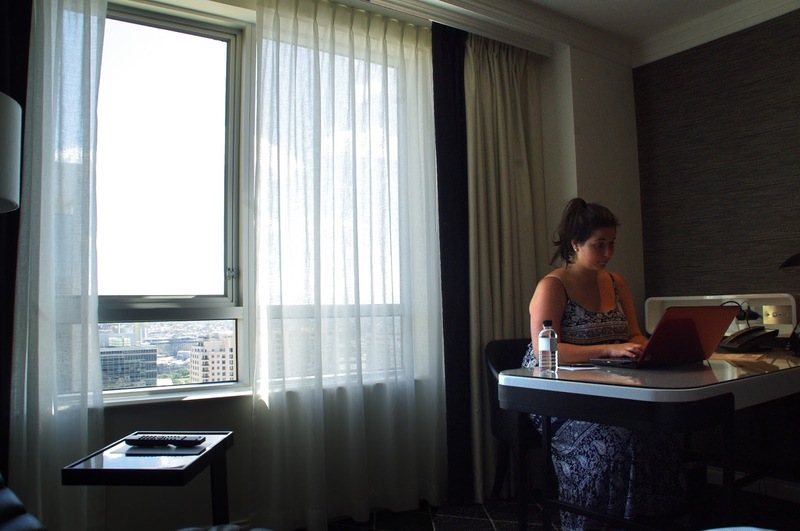 The Executive Lounge was a wondeful extra touch and truly topped off our stay at the Swissotel. 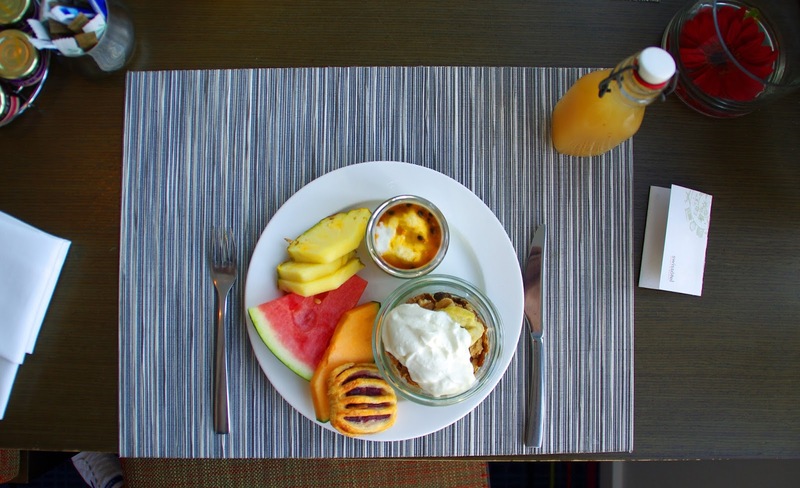 I love hotel breakfasts… and I am very happy to say that the Gourmet Buffet Breakfast at the Swissotel was one of the best I have experienced to date! 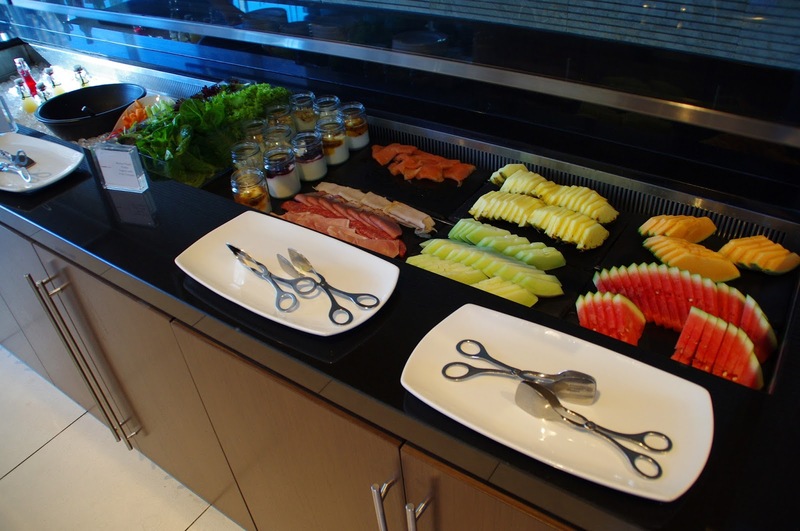 Served in the Executive Lounge there was every breakfast item you can imagine! 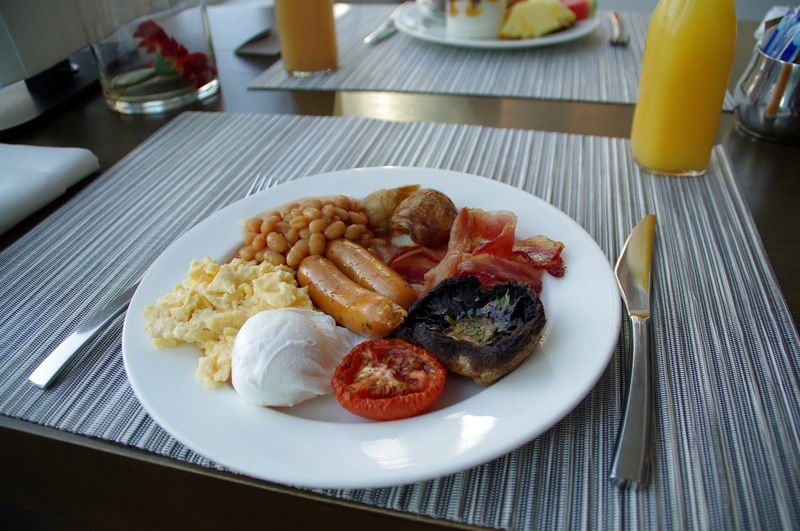 Dan was over the moon with the wide range of cooked breakfast options whilst I filled up on fresh fruits, yoghurt, fresh juice, cereal (and toppings), salads, pastries and charcuterie meats and cheeses. Every staff member we came across in the hotel was fantastic and the staff in the Executive Lounge truly outdid themselves. The service was fantastic, they remembered previous diners names and they were quick to clear away places, replenish food and pour us a new drink when needed. They are a credit to themselves and to the hotel. 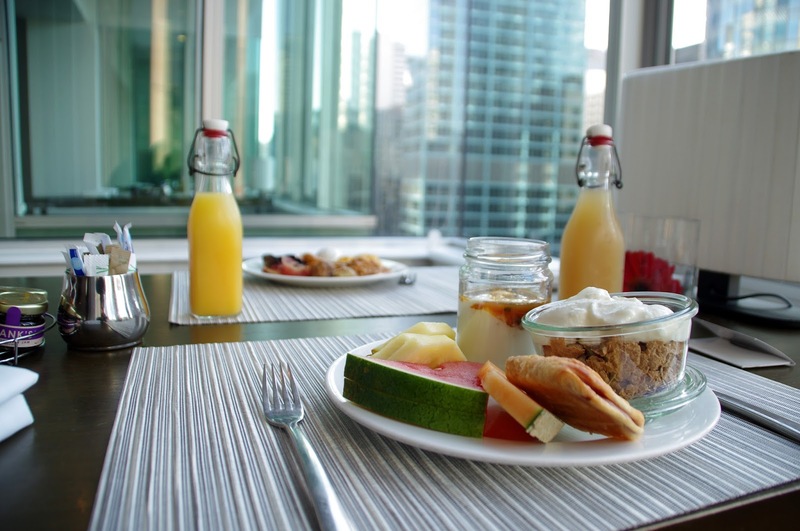 The Swissotel has a wonderful approach to health and well-being from their fresh, healthy breakfast options to the Spa treatments they offer in their newly refurbished Spa. 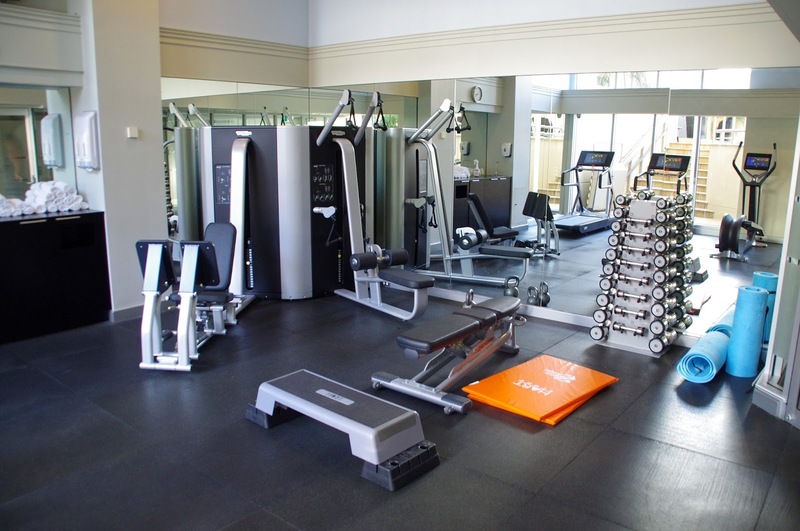 The hotel also has a fully equipped gym, an outdoor heated swimming pool and Jacuzzi. 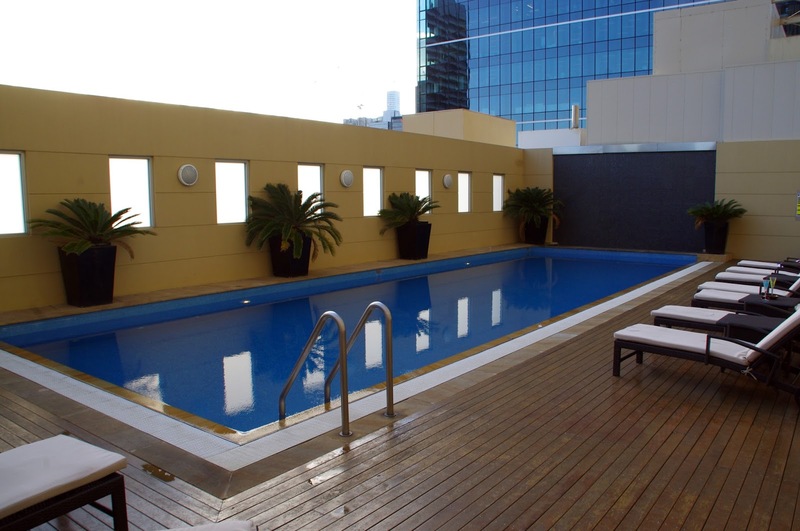 We made the most of the pool enjoying the early Spring sunshine after a big day exploring the bustling city. 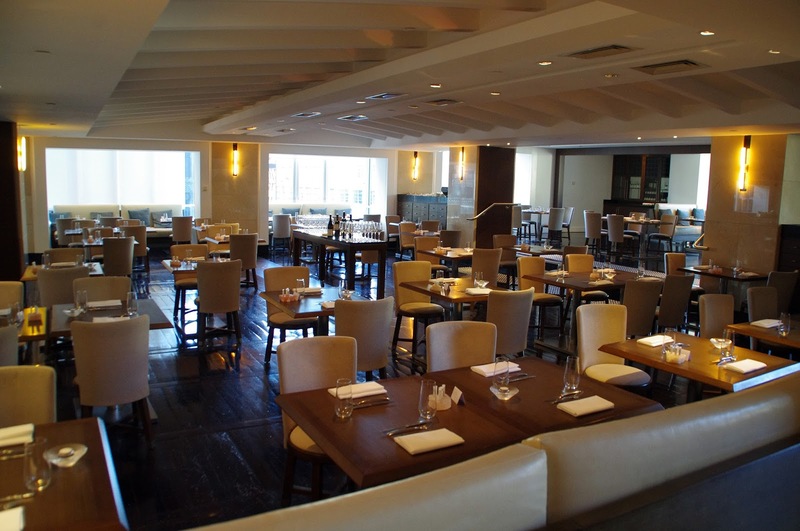 There are a number of dining options available at Swissotel which include Crossroads Bar, an all-day dining venue or JPB, their lovely restaurant. 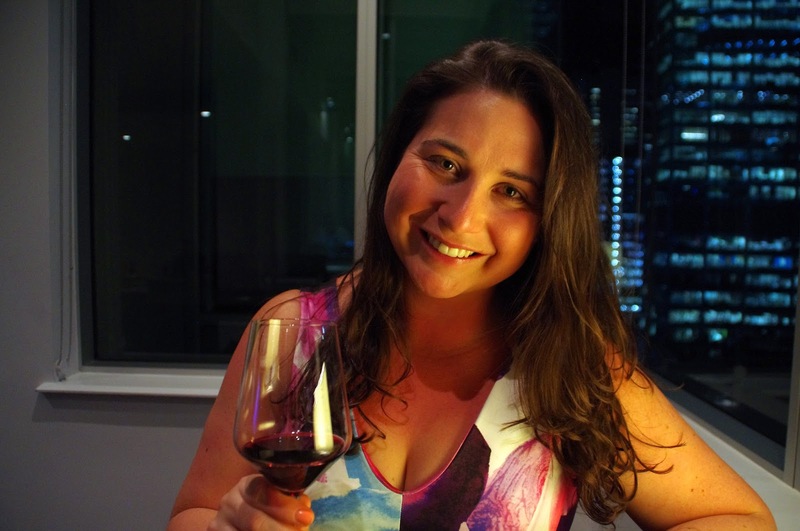 We were very impressed by the menu at JPB and also the very reasonable prices and were planning on dining there for dinner, unfortunately jet lag and our seriously comfortable bed got the better of us and we didn’t make it much later than sunset that night, missing dinner altogether! 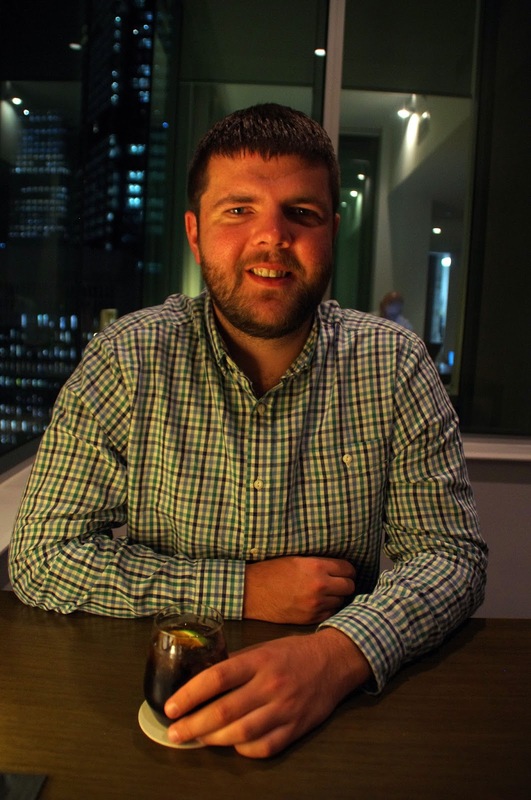 We loved the look of the menu so much that we are planning on trying the restaurant next time we are back in Sydney. 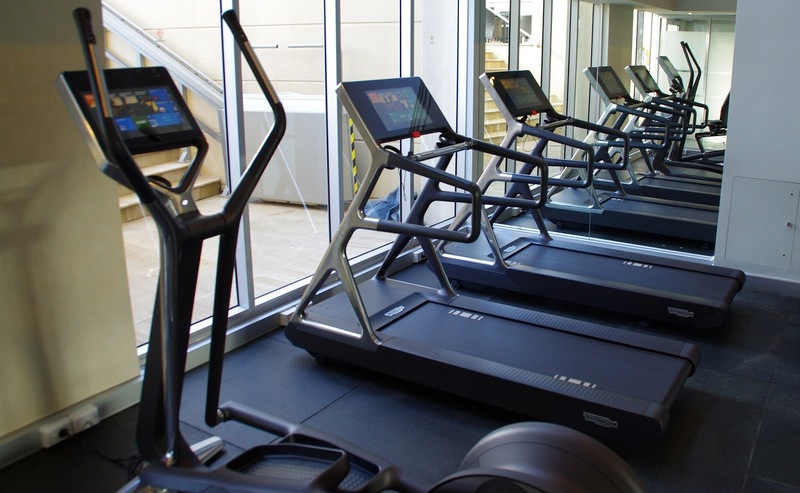 The hotel also has 24-7 room service available for its guests. 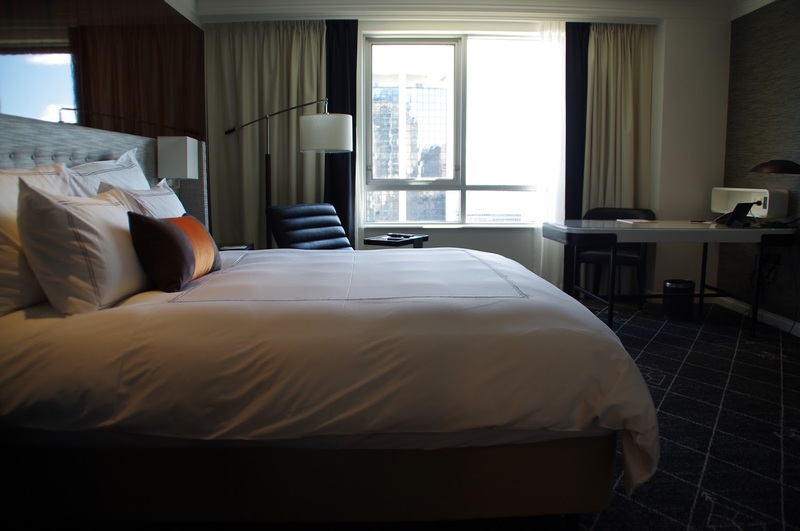 We had the most incredible stay at the Swissotel and it was truly topped off by the service we received from the moment we were greeted by the doorman and concierge, to the reception staff, housekeeping and lounge staff. Every member of staff was professional, friendly, welcoming and went out of their way to ensure we had the most perfect stay. 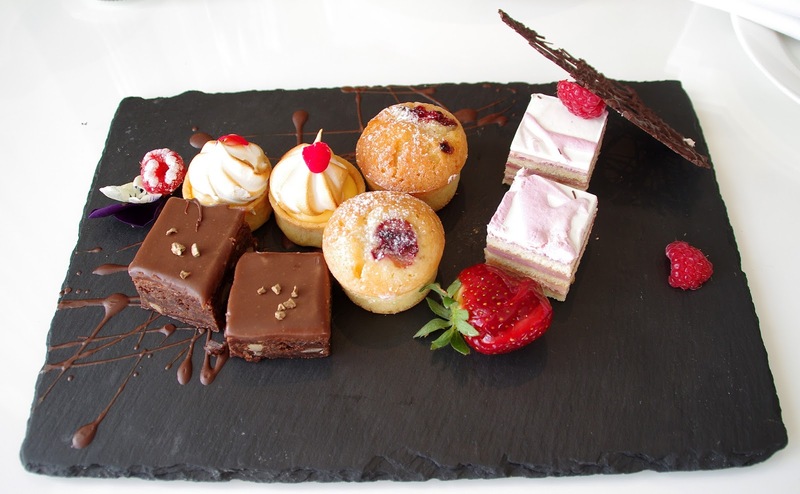 It is evident that the staff at the Swissotel love their jobs and this shines through in the service and wonderful treatment that each guest receives from start to end. 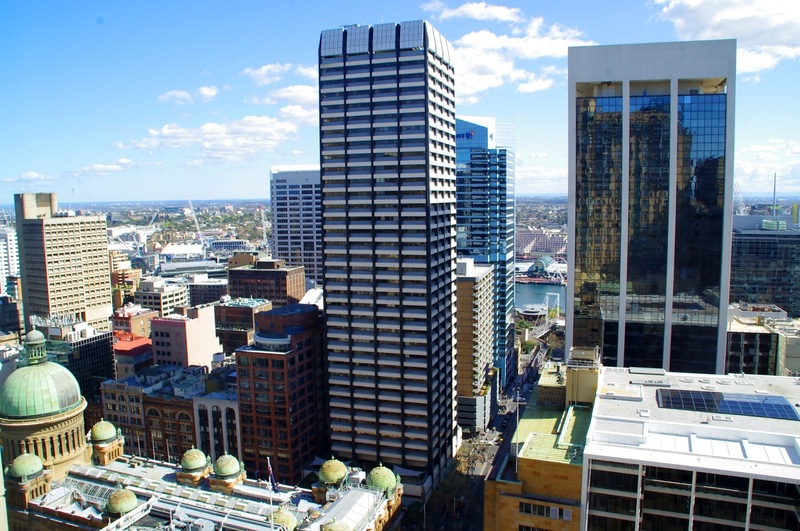 The Swissotel was located ideally in the centre of Sydney’s CBD and only a short ten minute walk from famous Sydney sites such as the Harbour Bridge and Opera House. 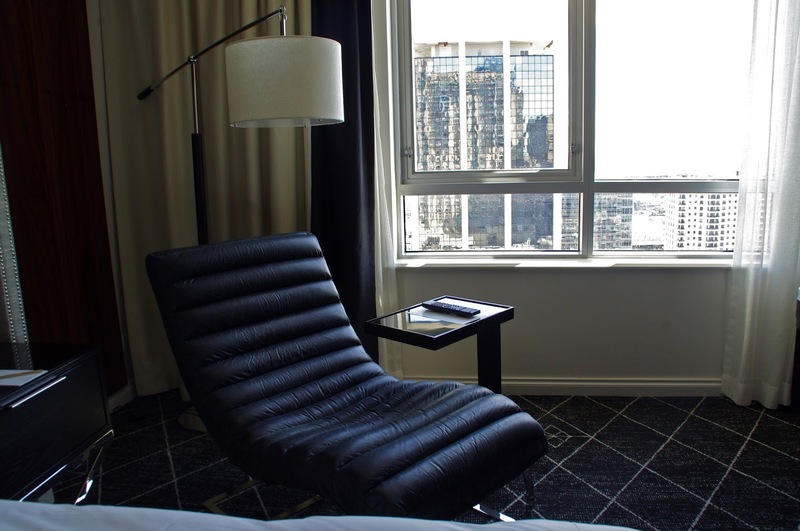 It was our first experience with the Swissotel brand and we fell in love. 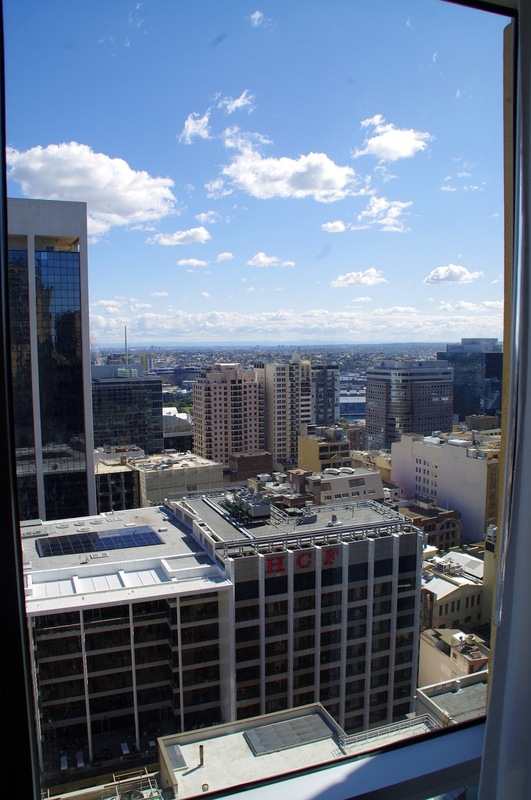 We cannot wait to visit more Swissotel properties in our future travels and will certainly return to the Swissotel Sydney on future trips. 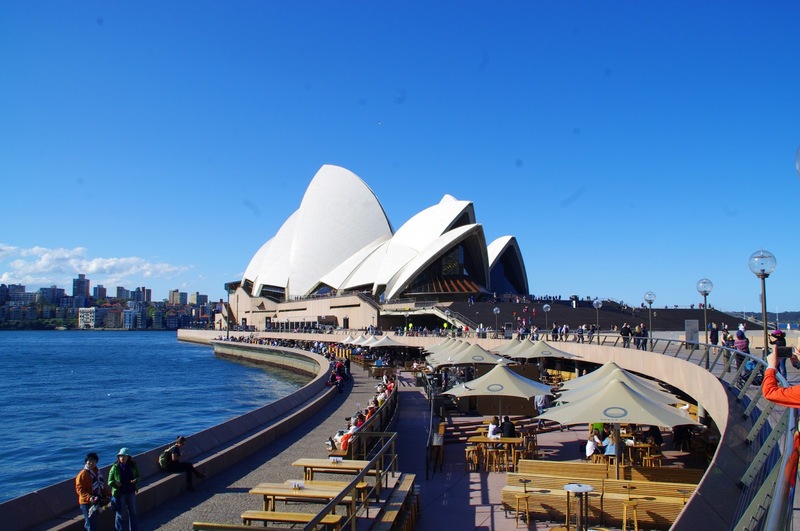 I loved every aspect of our stay and can genuinely say it is one of my favourite luxury hotels from our travels to date and highly recommend it to anyone visiting Sydney. What have been your favourite hotels from your travels and what makes them so perfect? 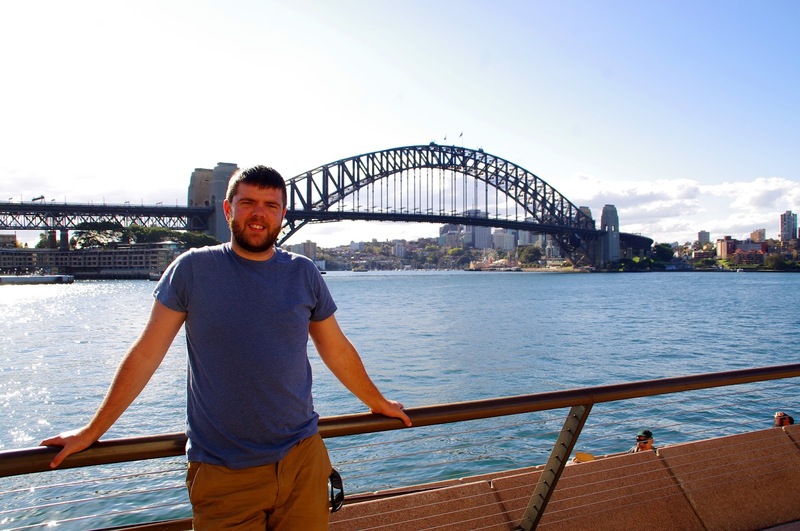 The Aussie Flashpacker was welcomed to Swissotel Sydney as a guest.